Video doorbells bring both convenience and security to your home by streaming a live view of the doorstep to your smartphone, whether you are on the other side of the door or the other side of the world. For someone with a disability, these could be quite useful products as they let you check who is there before answering. Your smartphone is notified the moment motion is detected or the doorbell is pressed. You can speak to visitors through the doorbell’s microphone and speaker. Used in combination with a smart lock they could replace older technologies such as a video door intercom for door entry. There are now a number of smart video doorbells products available, as can be seen below. The good: You wont miss another call on the door whether you are on the other side of the door, or the other side of the world. The not so good: If your home Wi-Fi stops working so does your doorbell. The verdict: Promotes living independently for people with disabilities by providing a secure door entry system. In this podcast, Sarah Boland, together with David Deane and Áine Walsh, talk about the training they hosted on 21st June 2017 on the Mefacilyta Desktop app in St John of God in Stillorgan. 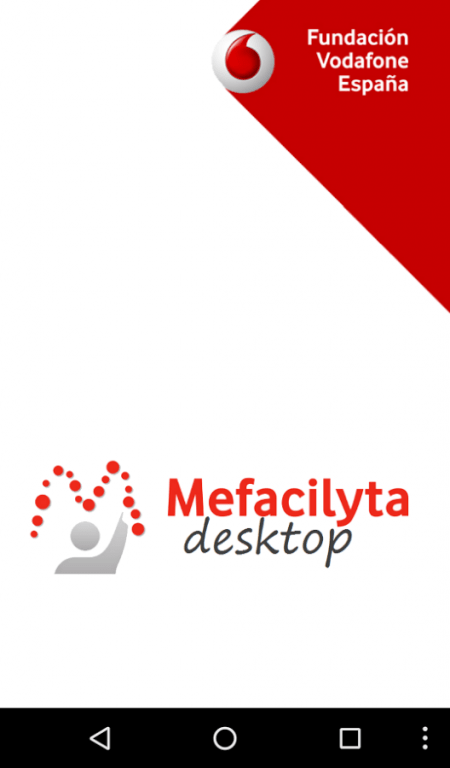 Mefacilyta Desktop is a new Android app developed by Vodafone Foundation Spain in conjunction with St John of God, which can be individually tailored to support people with intellectual disabilities to learn how to carry out their everyday activities independently. I am a C4 spinal injured person with full quadraplegia for the last 34 years. Over this timespan some of my assistive technology has remained the same and stands the test of of time. But I’ve also adopted useful new tools over the years as computer hardware and software developed. I was 18 when my spinal injury happened. After rehab I went to Rosyln Park college and studied office subjects, payroll, accounting, word processing and office software usage. While office administration would not be my primary interest, it is something that I can do despite quadriplegia. At that time used a chin strapped pointer for computer keyboard usage. 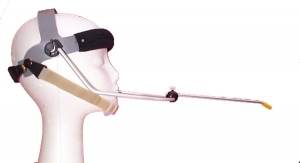 Headpointer available from Jackson Technology, Waterford. After I finished in Rosyln Park I subsequently got a FAS scheme based office job in Cheshire Ireland where I converted the office tasks to computer based. This developed into a full-time job in payroll based in Sandyford. When I started initially, I continued to use the chin strap pointer for a while but wasn’t happy with it. A friend suggested a mouthstick might be more convenient and less cumbersome. Ever since then my mouthstick is my primary piece of assistive technology! The mouthstick is a 5mm diameter thin piece wood dowelling, approximately 450mm long, with a 50mm piece of plastic tubing on the mouth end and a rubber tip on the end. I use it for keyboard entry, mouse app use, light switches, hands free phone and ebook reader use. I even have a second mouthstick for giving treats to my dog! Instead of a rubber tip this mouthstick has a point with which the stab small pieces of frankforter or cheese. However the mouthstick has its limitations. It is a relatively slow but accurate method of typing. I find it particularly essential for working with numbers where accuracy is a priority. For more general text I use Nuace NaturallySpeaking, for example for emails and Word documents. NaturallySpeaking is a continually improving voice recognition application. I use it in conjunction with a wireless headset. This means that I am not tied to the computer with a wired headset. NaturallySpeaking also has extensive Windows usage commands built-in. I use it both at home and at work. The headset also facilitates me making and receiving phone calls over a VOIP soft phone application, as well as Skype. As to other technology that I use, I use a mini cherry keyboard because that makes it easier to reach the left and right hand side compared to the standard keyboard. For mouse usage, I use two separate input devices. 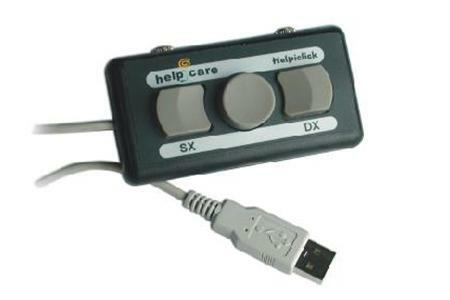 I use a small device called Helpiclick made by a company called Helpicare. 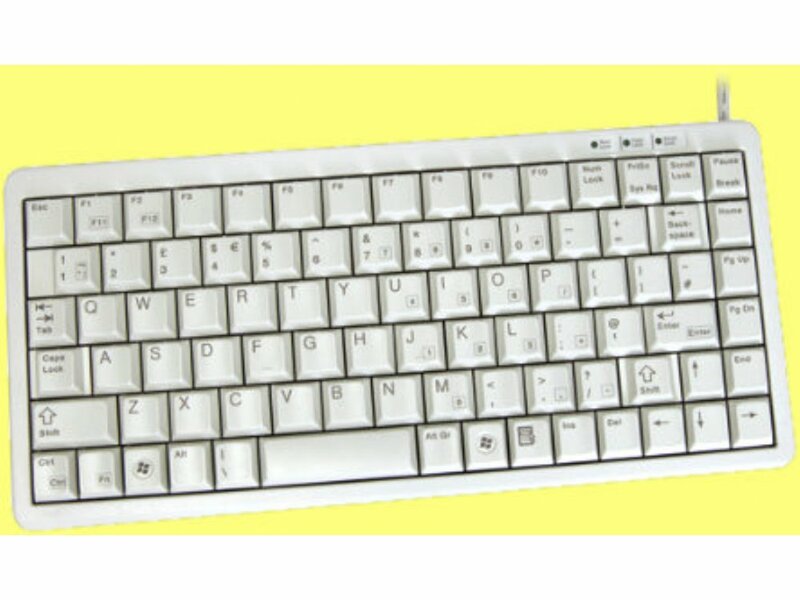 At work I use a numeric keypad in conjunction with the Windows accessibility feature to emulate mouse. Other Quadriplegic colleagues that I know use Eyegaze for mouse control as well is typing and find it excellent. I did try this application but found it very straining on my eyesight. Outside of work, I very much enjoy reading. I struggled over many years with regular books, usually opting to get second-hand books which were easier to turn pages and keep open. With the advent of ebook readers, this has transformed my reading experience. I use a Kobo Auro H2O book reader because I’m not a fan of Amazon! This is an excellent e-reader which includes background lighting for evening or night time reading. I use it with my mouthstick, although I had to get mouthstick that conducts electricity. The e-book reader like tablet computers and smart phones requires capacitive touch. For able-bodied people they simply use their finger which has a tiny electrical current from the human body. Hence the need to use a conductive mouthstick. There are other e-book readers, such as the Sony e-book reader that will work with any pointing device. However the Kobo e-reader is slightly larger which I like. I am currently trying to get a technology student or university to link a voice recognition circuit to my e-reader so that I could say “next page” or “previous page”. This is an ongoing project as I write this blog. With regard to my environment, I use a chin controlled wheelchair which gives me significant independence both in my own home and also out and about. In my home I have a number of door openers, including a card reader based door opener for the outside as well as a separate card reader for turning the house alarm on and off. I also have a remote control for turning on and off lights, but only really in my living room. I had more extensive assistive technology but found it very problematic and finally got rid of it, keeping only what is essential. I also have a wall mounted desk at a 45° angle. This gives me full freedom of movement with my wheelchair underneath the desk and having my keyboard and e-reader at 45° makes it much easier to use. While the various pieces of technology work pretty well for me on an ongoing basis, I try to stay informed about any novel technologies that come along which might improve my living experience. I would recommend everybody do the same. Here is an interesting website that helps anyone find useful advice and products that make daily living easier. Then you obtain a report back. The site says that the report contains advice written by occupational therapists that provide details of products that might help you. The information within the report is impartial to any product or supplier and aims to include details of every product on the market. I have chosen a few topics to have a look at and have found the reports do provide useful guidance towards a solution. Some of the topics are a little hidden within the limited headings. I have also found it a bit limiting on the range of technologies it suggest that may help. However it does promote users to initiate and consider products to meet their own needs and so is a good step in the right direction. AskSARA is advice tool developed by national charity the Disabled Living Foundation (DLF) and provide a UK based equipment library. Gripability is a company that produces a range of products to assist an individual with limited or missing hand function. The products assist with the handing of any small object such as a cup, wine glass, cutlery or pen etc. This enables a wide active participation for the individual with a disability in everyday situations in the private, school or working environments. The Gripability e3 consists of a electro pneumatic grip that can be attached to the hand or any other part of the body to suit the user. The user activates the grip with a switch. The Gripability xhand is a non-moving electro pneumatic device for griping , holding or positioning objects. It is mounted to a frame that can be easily adjusted to suit the individual’s needs. These types of aids can help to facilitate an “I can” attitude.